"A woman without a man is like a fish without a bicycle." If a lack of confidence was holding women back, we wouldn’t need campaigns like Sheryl Sandberg’s “ban bossy.” Confident, authoritative women are seen in a negative light. This socialization stifling leadership qualities begins in elementary school, where female students are called on less and interrupted more. This persists throughout education to the point where women’s opinions are devalued to such an extent that they are viewed as no longer worth sharing. 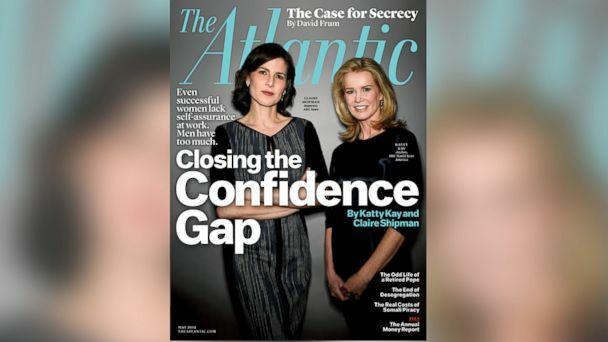 Shipman and Kay’s confidence theory only further contributes to society’s belittlement of women, the same society that says employers can fire females for being too attractive (I’m looking at you, Iowa Supreme Court) and unpaid interns are not protected from sexual harassment because they are technically not employees. The message being sent by our current society is one that does not value the full dignity and autonomy of women as human beings. No amount of confidence can counteract that. Women can more effectively achieve equality by calling attention to these forms of ingrained sexism and working to change them. Change can begin to take place once we have paid maternity leave, raise the minimum wage, and have unrestricted access to reproductive health services. While some women, as well as some men, lack confidence which holds them back, categorizing all women as lacking confidence only harms our chances of gaining economic equality. It’s time we stop pushing these self-help theories developed predominantly by wealthy, white women, and start working to eliminate barriers to economic independence. This blog is an outlet for feminists and an educational tool for those who say "I'm not a feminist, but..."